Maximize your storage space with these 16" deep shelving units featuring graduated backs that fit closely to the side wall of your van freeing up valuable floor space. Units fit Sprinter Standard Roof and Ford Transit Medium Roof vans. Units include two 131∕2" and two 16" shelves all with 3" high lips to keep items on the shelf. Maximize your storage space with these 16" deep wall mounted shelving units featuring graduated backs that fit closely to the side wall of your van freeing up valuable floor space. Units include two 131∕2" and two 16" shelves all with 3" high lips to keep items on the shelf. Shelves are also perforated on 2" centers to accept dividers. Wall mounted shelving units come with a closed back to keep items from falling behind the unit and have a durable powder coat finish. 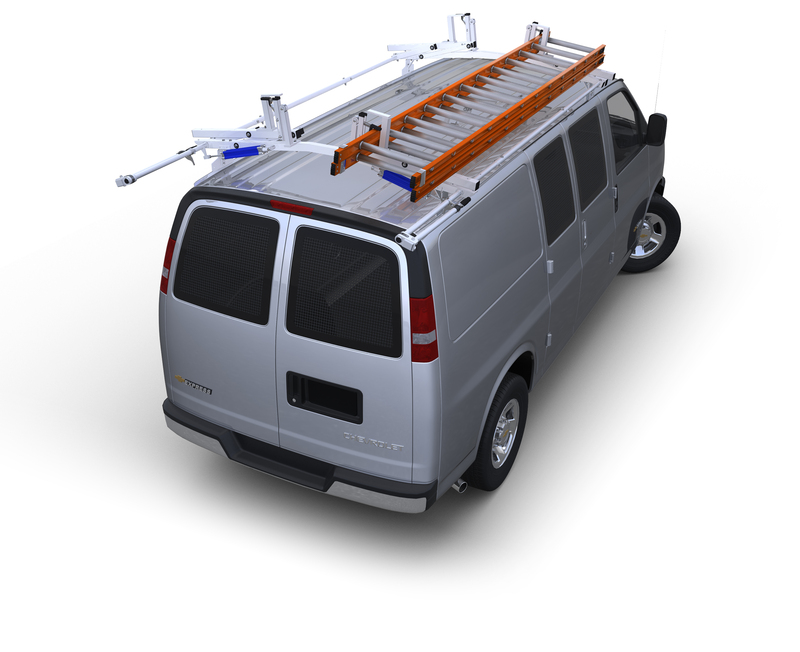 Comes completely assembled ready to install in your van. Shelving Units fit Sprinter Standard Roof and Ford Transit Medium Roof vans. SAVE 10% on Divider Kits which include three dividers per shelf or Shelf Liner Kits which include a sufficient amount of Shelf Liner for each shelf in the unit (sold above).